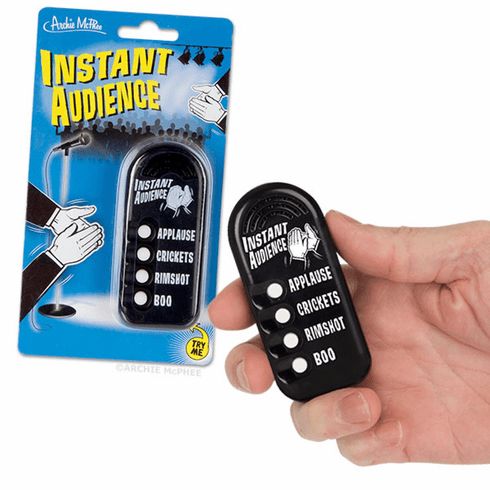 This 3-1/2" (8.9 cm) electronic Instant Audience noisemaker comes with four sounds - applause, crickets, rimshot and a booing audience. The perfect thing for an instant ego boost or giving effortless feedback to others. Plastic. Three LR44 batteries included. Illustrated card sleeve.